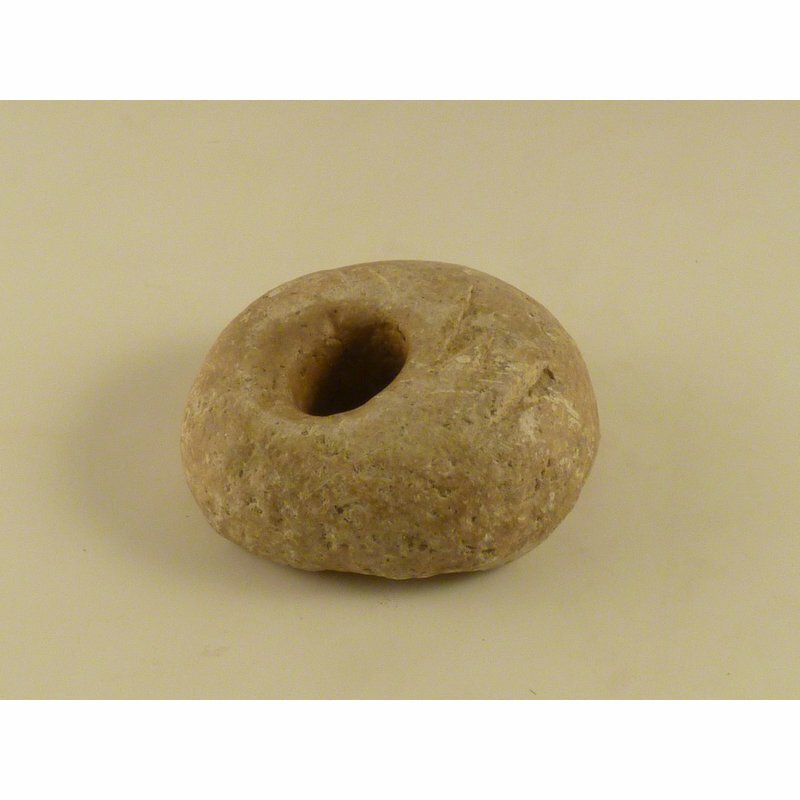 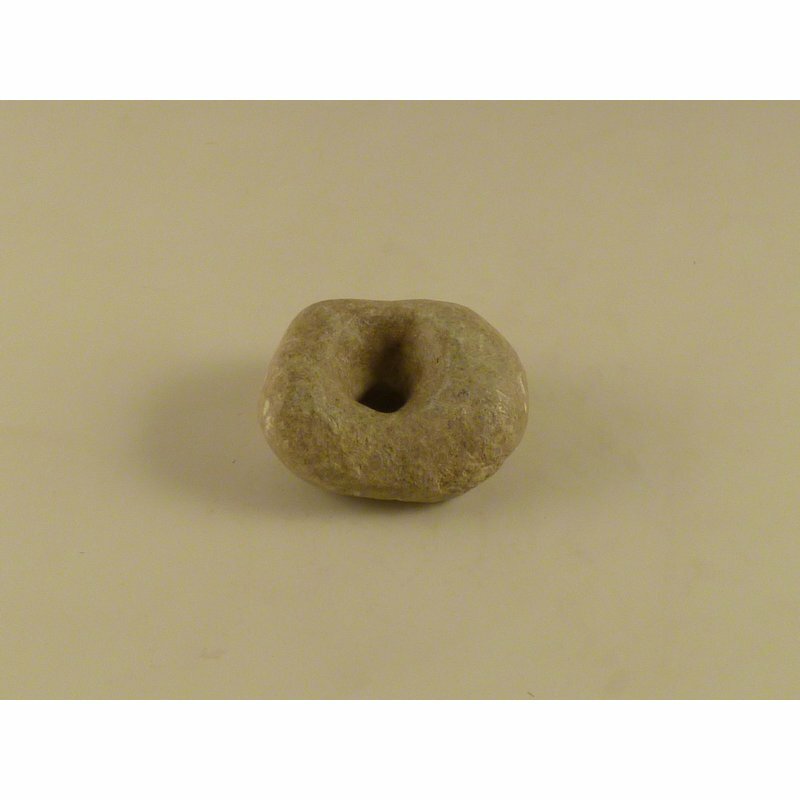 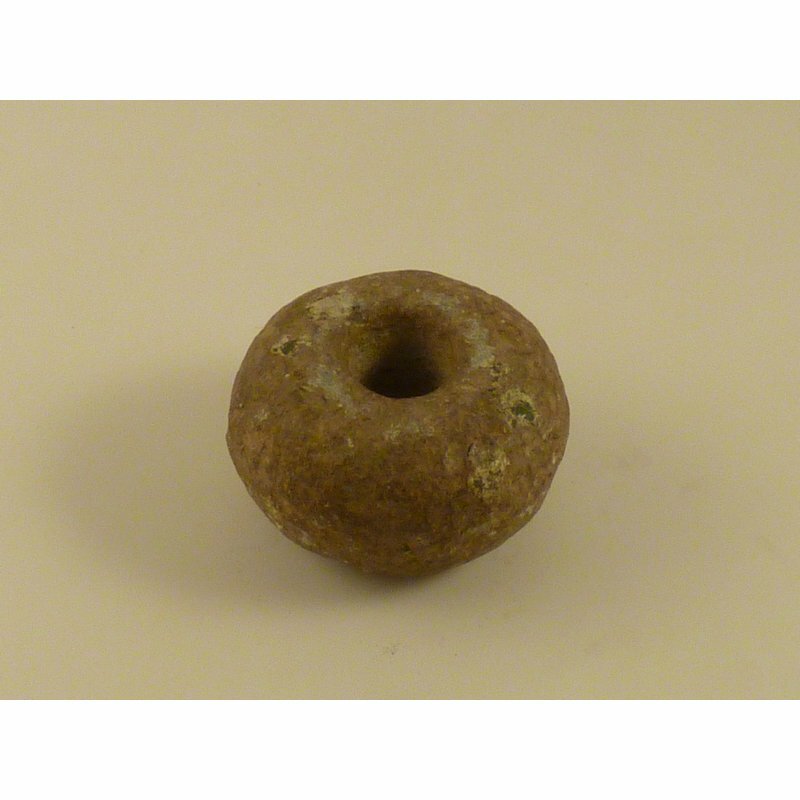 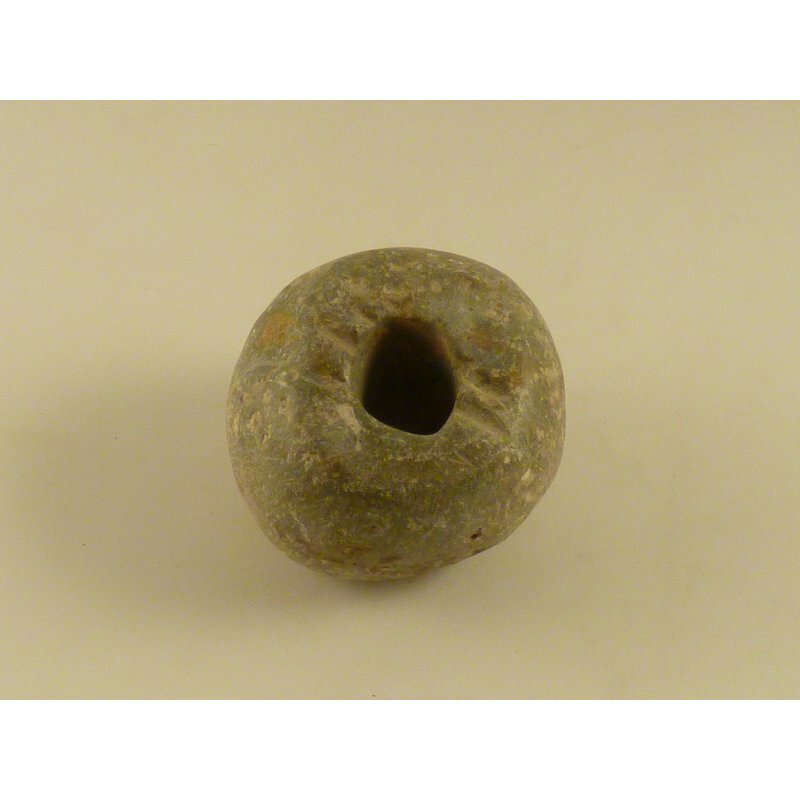 A steatite, or soapstone, carinated circular disc, with a hole bored through the middle. 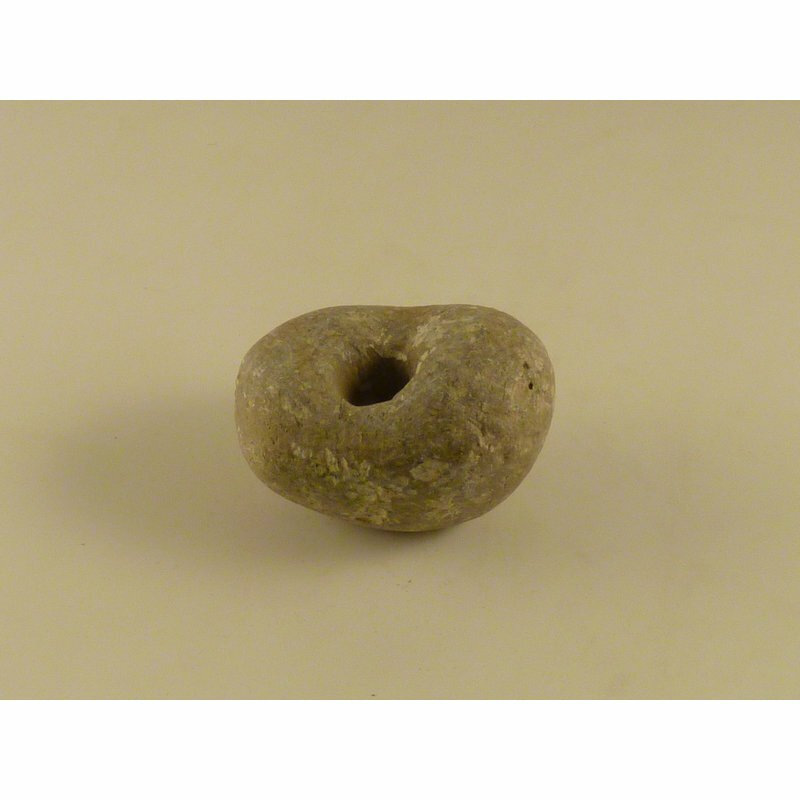 Stones such as this are proliferate in Sierra Leone, and thought to be digging weights. 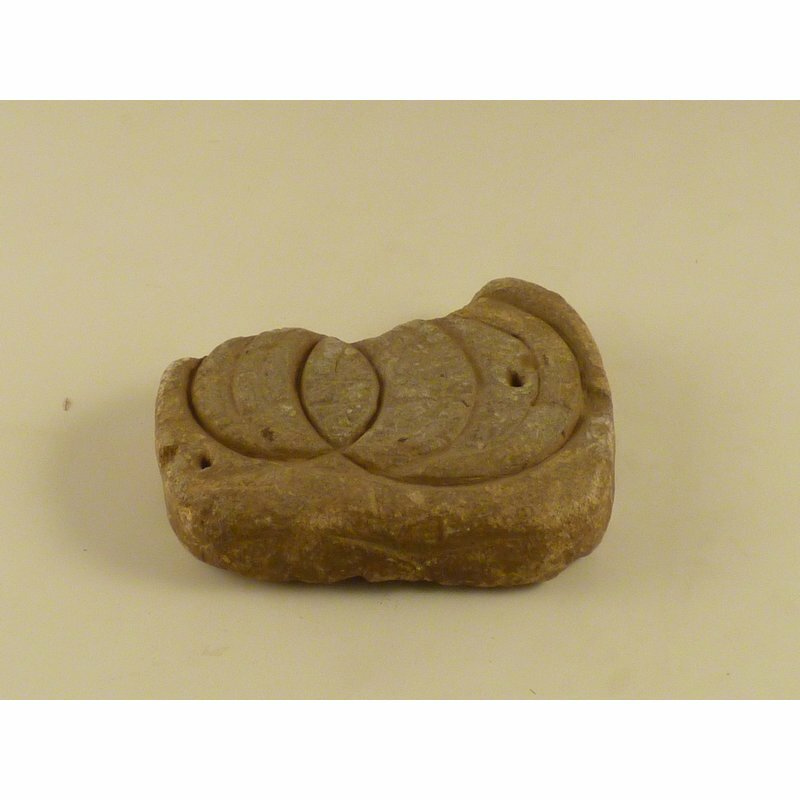 This example was discovered near pottery .